El Pollo Loco Announces the Grand Opening of New Restaurant in Grand Prairie, TX | El Pollo Loco Holdings, Inc.
COSTA MESA, Calif., Nov. 19, 2018 (GLOBE NEWSWIRE) -- El Pollo Loco, Inc. (“El Pollo Loco” or “Company”) (Nasdaq:LOCO), the nation's leading fire-grilled chicken chain, opened its newest restaurant in Grand Prairie, TX today. The new restaurant located at 2660 Highway 161 marks the Company’s second location in Grand Prairie, and the sixth operated by franchise partner, Chicken Time Holdings. To celebrate the new restaurant, El Pollo Loco will host a special grand opening event for all community members on Tuesday, November 27. Doors open to the public at 11 a.m. and the event’s festivities will include a live radio broadcast by 98.7 KLUV, ribbon cutting with Grand Prairie’s Chamber of Commerce, free food samples, a mariachi band and more. The 2,995 square foot freestanding restaurant has seating for 66 customers, will employ approximately 50 team members, and features the Company’s new ‘Vision Design,’ with an authentic, Mexican-inspired atmosphere that reflects El Pollo Loco’s menu and brand identity. The updated design has warm textures, rustic elements and highlights El Pollo Loco’s open kitchen that allows customers to view El Pollo Loco’s signature chicken as it is fire-grilled. The restaurant is open seven days a week from 10:30 a.m. to 10 p.m.
For promotions and news on the new Grand Prairie location, fans can follow the restaurant’s local Facebook page. El Pollo Loco fans are encouraged to join Loco Rewards and will receive a free original Pollo Bowl® after their first regularly priced food or beverage purchase on the mobile app. Loco Rewards members can earn points, redeem rewards and manage offers directly from the mobile app, which is available for download in both the Apple App Store and Google Play Store. El Pollo Loco (Nasdaq:LOCO) is the nation's leading fire-grilled chicken restaurant chain renowned for its masterfully citrus-marinated, fire-grilled chicken and handcrafted entrees using fresh ingredients inspired by Mexican recipes. With more than 480 company-owned and franchised restaurants in Arizona, California, Nevada, Texas, Utah, and Louisiana, El Pollo Loco is expanding its presence in key markets through a combination of company and existing and new franchisee development. 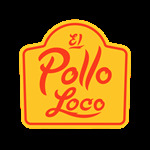 Visit us on our website at www.elpolloloco.com.